Kerala High Court observed that Sabarimala welcomed devotees from all faiths and was a symbol of communal harmony. While considering a petition seeking to restrict entry of non-Hindus in Sabarimala temple, the High Court of Kerala orally observed that Sabarimala belonged to all and not just Hindus. The petition filed by T G Mohandas, Convenor of BJP State Intellectual Cell, contended that non-Hindus and non-idol worshippers cannot be permitted entry on the basis of SC judgment in Indian Young Lawyers’ Association case. The Division Bench of Justice P R Ramachandra Menon and Justice Devan Ramachandran criticized the tone and tenor of the petition as tending to disrupt secular fabric of society. BSNL asks circle to provide details of casual labour. BSNLCCWF has been continuously pressing the BSNL management to ensure the provisions under the rules of the land to the casual labour engaged in the BSNL and who have been denied minimum wage as per VII CPC, gratuity, regularisation etc. After the strikes and agitations, CLC has also intervened. As a result,now the BSNL Management has directed the circles vide letter dated 26-102018 to provide all the information regarding the casual labour and TSM pointing out that the lot of casual labours need to be properly regulated to meet the statutory and legal issues. Circle Secretaries are requested to meet the CGMs and ensure that the details are furnished to the corporate office at the earliest. The help of circle secretaries of BSNLEU is to be sought for this. The pollution in Delhi reached its highest at 397 in the season on Tuesday as per the Central Pollution Control Board. Seventeen areas of the national capital recorded severe air quality, the data said.A thick haze due to smog continued to hover over the national capital, authorities said. There are already reports about closing of the schools as also prohibiting private cars on the road. Morning walks are unhealthy, people have been advised. This is a man made crisis. The central as well as the State government have to take immediate steps to change the situation for better. In almost all important centres, throughout the country, well attended Press Conferences were organised by the All Unions and Associations of BSNL, explaining its decision to go on agitational path on the important demands raised it long back and on which the Communications Minister has assured favourable consideration, but did not implement. The details given by the AUAB was heard by the Press with importance. It is expected that wide publicity will be given to the same in tomorrows news. Massive Dharna will be organised by AUAB on 30th October on the same demands. BSNL employees and officers as per the call of the All Unions and Associations of BSNL (AUAB) will sit in dharna on 30th October 2018 in front of Offices / exchanges demanding immediate Wage revision and Pension Revision w.e.f. 01-01-2017, Payment of Pension contribution only on the basis of actual pay, Allotment of 4G Spectrum to BSNL and Implementation of the recommendations of the 2nd PRC in respect of superannuation benefits to BSNL directly recruited employees. The Communications Minister had assured in February 2018 itself, when the workers went on agitation, that the demands will be favourably considered and the DOT was asked to initiate the formalities. However, nothing happened during these months. Hence the present action programme. 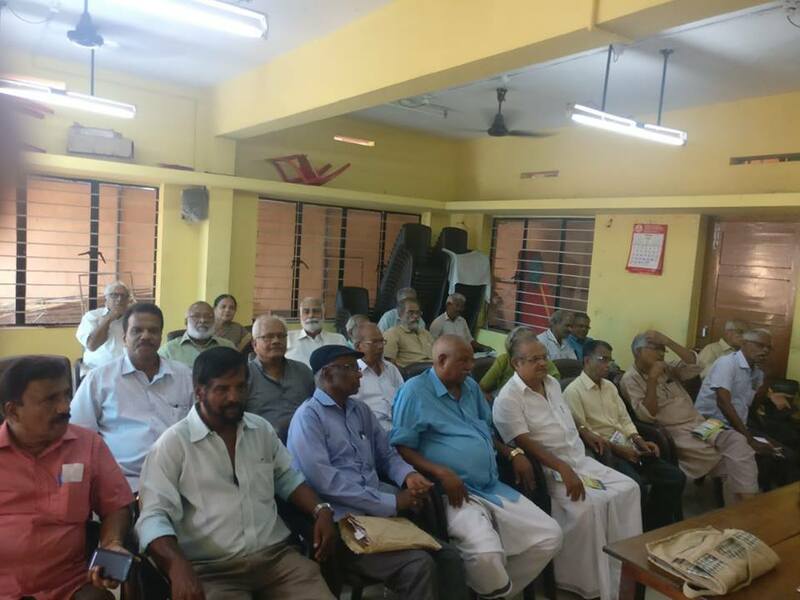 AIBDPA, the mighty organisation of the BSNL and DOT Pensioners have extended its full support and solidarity to the struggle. As usual, large number of pensioners will also participate. Com.S.S.Sen veteran P and T TU leader passed away. COM.S.S.SEN, VETERAN P and T LEADER IS NO MORE. “That was the 6th day of November , 1975. Dark days of emergency imposed by Mrs. Indira Gandhi were looming large over democratic movements of our country. One Police Inspector keeping his force outside entered into the then Sub Record Office at Guwahati under RMS “GH” Division and took the chair in front of a young man working there and asked curisoulsy “Are you Mr.—–? with militant posture and uncompromising determination, the man just crossed his fourty, instantly replied “Yes, I am Mr.Sudhendu Sekhar Sen whom you are searching for”. Perhaps this is the unmatched chapter of the history of the trade union movement in the central government employees’ front where as many as 8 (eight) top leaders were put into jail with an intention to crush the democratic trade union movement. Needless to say that second union (FNPTO) in the P&T was formed with the government’s patronage to sabotage the historic 1968 central government employees’ strike. In the early 1990’s also Regional Coordination Committee of P&T employees Unions (NFPE), North East Region with Com.S.S.Sen as Convener again made the history by organizing the longest ever successfull strike of the white colour employees in the history of India demanding Special Duty Allowance (SDA). The strike started on November 15, 1991 under the leadership of RCC of P&T Employees Unions, NE Region to end the discrimination by implementing Court Judgement. The entire RCC leadershp including Co.S.S.Sen, Com.J.Bhattacharjee, Com.R.P.Sharma, \Com. 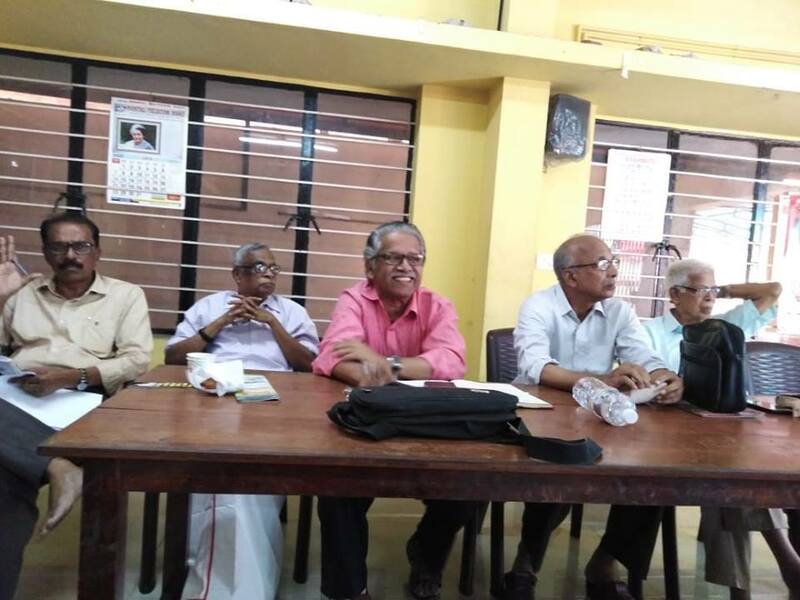 Sasadhar Deb, Com.B.C.Das, Com.S.K.Das, Com.M.R.Das, Com.J.N.Mishraexhibited the exemplary leadership quality to continue the strike with tactical perfectness and extreme patience. No door of any Post Office and RMS office was opened for long 38 days upto 22nd December, 1991 until an agreement was signed between NFPE and the Department of Posts in the presence of Minister of Communications . Subsequently the discrimination was ended and SDA was granted to all the CG Employees of NE Region irrespective of transfer liabilities”. Who is Amit Shah to threaten Kerala Government ? Amit Shah, BJP President, in his speech at Kannur on 27th instant has threatened that the Kerala government will be dismissed if it implements the Supreme Court order on Women’s (those who are above 10 and below 50 years) entry in to Sabarimala. He threatened the courts also stating that they should deliver only judgments which can be implemented. These utterances are completely a challenge to the freedoms of the courts as also to the democratically elected state government. In the name of devotees, RSS and Sangh Parivar have been indulging in stone throwing, obstruction, attacking people as also attacking the government employees and police who are on duty there. Thousands of goonda elements have been brought to the Sabarimala Shrine premises to create trouble. Now the top leader of BJP has justified all these and is threatening the government, if it takes action against the culprits who destroyed KSRTC buses, other vehicles, attacked the houses of many women who came to visit the temple etc. This is strongly condemned. He has no right to threaten the Kerala government with dismissal. The leaders of all political parties including Congress and BJP welcomed the Supreme Court decision on the admission of women in the temple. RSS top leaders also supported. The court order was hailed as historic, restoring the right of the women to worship in the temple, thus restoring the same, which was which was in vogue till 1991 and was stopped as per a High Court order. The then Left Front Government implemented that order and now when the SC cancelled the High Court order, it is also being implemented. THE BJP-RSS-Sangh Parivar which hailed the judgment, are now trying to destabilize the government for implementation of the order of the 5 Constitutional Bench of the SC. Except a few devotees, who are being misguided, the society as a whole is in support of implementation of the SC decision. BJP and its president Amit Shah are attacking the highly praised social, secular fabric of the country. This is most condemnable. The people of Kerala will resist and defeat this attack. Seek support of all right minded people. (c) the anomaly is directly as a result of the application of the provisions of Fundamental Rule 22(I)(a)(1) read with Rule 13 of CCS(RP)Rules, 2016. For example, if the junior officer was drawing more pay in the existing pay structure than the senior by virtue of any advance increments granted to him, the provisions of this subrule should not be invoked to step up the pay of the senior officer. Delhi air pollution goes up to dangerous levels. “New Delhi, Oct 27 : Delhi’s air quality remained very poor for the fourth day Saturday with five areas of the national capital recording severe pollution levels, as authorities warned the situation may deteriorate further next week due to localised emissions during festival and stubble burning. The Central Pollution Control Board recorded the overall Air Quality Index of Delhi at 341. The highest AQI of this season was recorded on Friday at 361. On Saturday, five areas in Delhi recorded severe pollution levels. They are Anand Vihar, Dwarka Sector 8, Narela, Punjabi Bagh and Rohini. Punjabi Bagh recorded the highest pollution level in the national capital at 434. According to the data by the Centre-run System of Air Quality Forecasting and Research, the overall air quality index of Delhi would deteriorate in a few days, remaining just points below the severe category. The CPCB-led task force has recommended stringent measures from November 1 to 10, predicting further deterioration in the air quality ahead of Diwali. Some of these recommendations include shut down of coal and biomass factories, intensification of inspection by transport department to check polluting vehicles and control traffic congestion in Delhi-NCR during November 1-10. Authorities have issued an advisory, asking people to avoid outdoor strenuous activities and minimise use of private vehicles”.